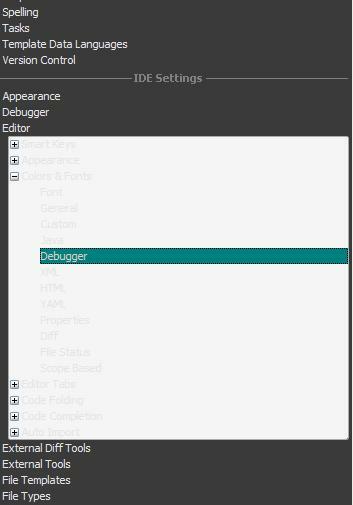 How can I set the debugger color background?. It seems to me that it always defaults to the windows background color, but the color of some of the debugger fileds -as the variable names- are hard coded in IDEA, ignoring which the background color is. I use a black blackground color in Windows, in the old fashion DOS style, and have problems in several IDEA dialogs. Please find attached a couple of captures. It is just what I experiencing, but the report being from 2002 I guess there is no chance the issue will be solved. Changig to another L&F makes the debugger text visible, but I'm forced to use a white backgroud. Is there any workaround here?